I am so excited to share this Facebook Live and THESE POWERFUL PEARLS of functional medicine with you. At SAFM we honor that scientific knowledge is always evolving. That’s why we are regularly revise our content in light of new research findings. The information is CRITICAL for ALL practitioner modalities. Ready to talk about SLEEP? There are some common mistakes we see practitioners make over and over again. 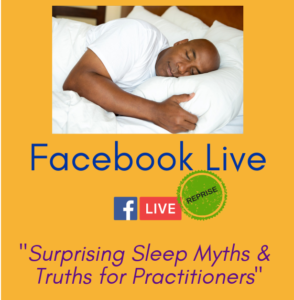 In this video, you will learn true root causes of SLEEP challenges from a Functional Medicine perspective – plus some good old-fashioned myth busting! Are you confident in the advanced arena of Sleep? Although you may already be a savvy practitioner, I am certain you will learn something new in this video. You’ll walk away with pages of notes and practical pearls you can use in your practice right away. Many practitioners jump to melatonin often, but at what Cost? Sound, sustained sleep is a Hormone symphony; do you know which ones are most often out of tune? Medication-mediated insomnia. What Not to miss in your patient’s work-up! P.S. If you know that healthcare must be transformed to be sustainable and effective, and you believe strongly that Functional Medicine is key to making that happen, we urge you to learn about our semester program. Hi. Can you tell me where to find the link for foods containing melatonin that Tracy mentioned? Thanks so much! Sure! Here are a few research articles which you may find helpful. 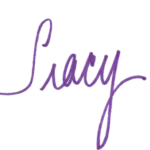 What do you think is the dynamic at play with waking up at night…. about 6-8 hours after drinking any small amount of alcohol…. can this be related to an insulin issue or something else? (also accompanied by hot flashes and heart palpitations). Insulin could certainly be involved in some individuals because, after a period of time, alcohol does cause blood sugar to drop. However, given the duration you describe, I think neurotransmitter rebound is more likely. This will be of interest to you: https://www.schoolafm.com/ws_clinical_know/taurine-alcohol-impaired-sleep/ .